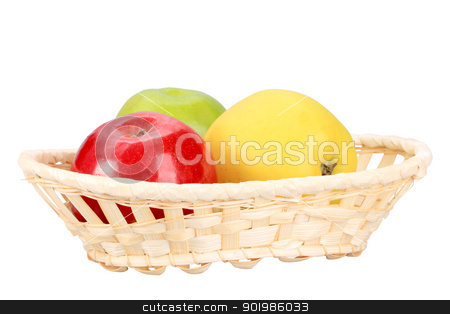 Three apples in basket. Isolated on white background. Close-up. Studio photography.